Did you really think that I would let strawberry season go by without another recipe? My favorite strawberry recipe at that?! No way. You can read all about my strawberry obsession over on this post. Strawberry season is in full swing back in Wisconsin, and although I can’t take advantage of those $6 pails, I can at least share my favorite ways to eat them. Stir the strawberries with a little balsamic and sugar, roast them in the oven, and out comes heaven. I don’t exactly know how to describe the flavor, but I will put this on literally everything. 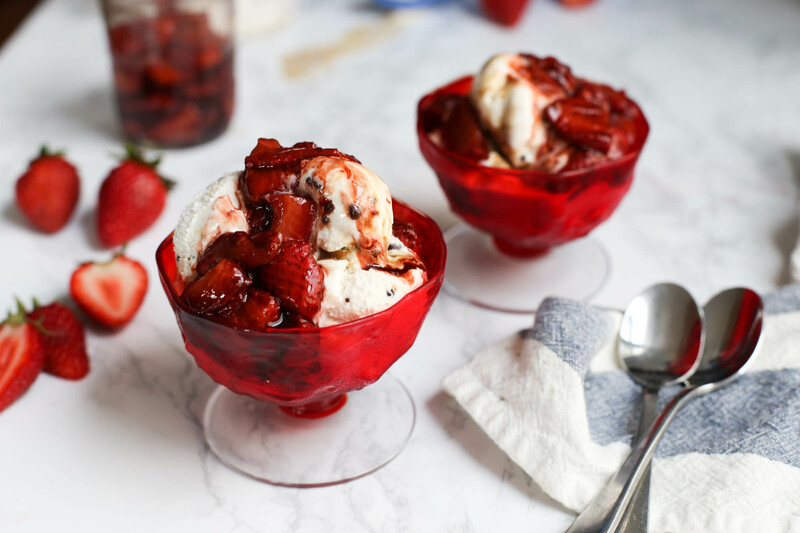 Most often, I eat balsamic roasted strawberries over ice cream, especially right after they come out of the oven – the warm sweet syrup drips over the cold ice cream. It can be found in the dictionary under amazingness. You could also serve the roasted strawberries over waffles (yum!) or pancakes (omg!) or french toast (stop!). 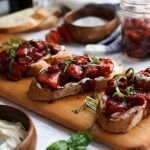 Using high quality balsamic vinegar will achieve an even more delicious result, but is not a requirement for the recipe. 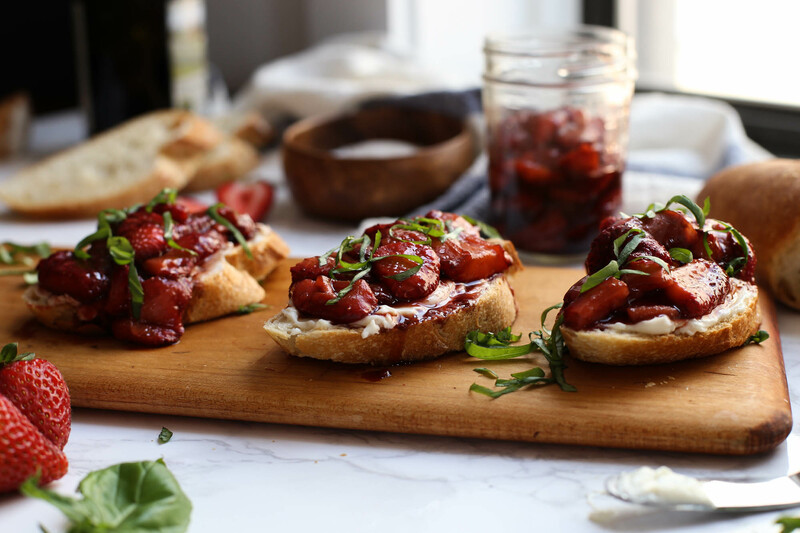 Balsamic roasted strawberries can also be served as a fancy appetizer, one that doesn’t require a lot of effort on your part. 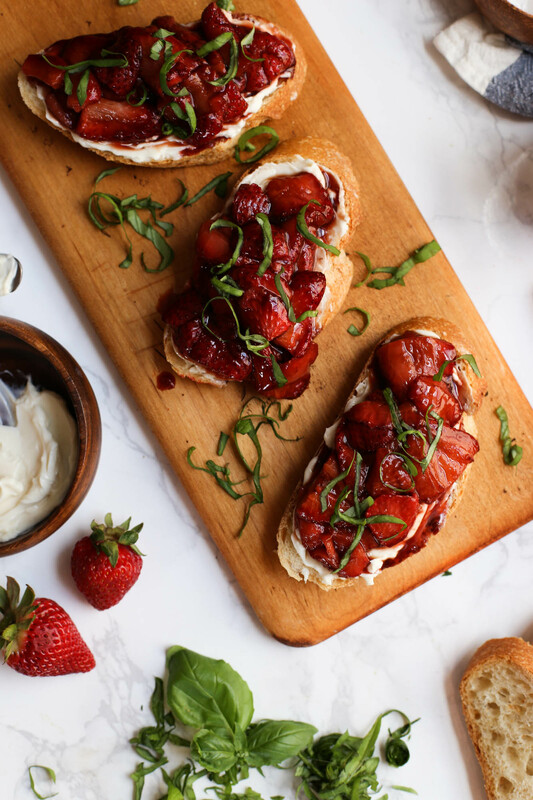 Slice up and toast a baguette, slather with soft cheese (such as goat cheese or brie) and drizzle with the roasted strawberries. Add some basil on the very top (see here for how to chiffonade basil into thin strips, it’s easy). A lot of people have never tried the combination, so prepare for the raves. From one strawberry aficionado to another. Please try this. You can thank me later. Preheat the oven to 300 degrees F. Line a rimmed baking sheet with parchment paper for easy cleanup. 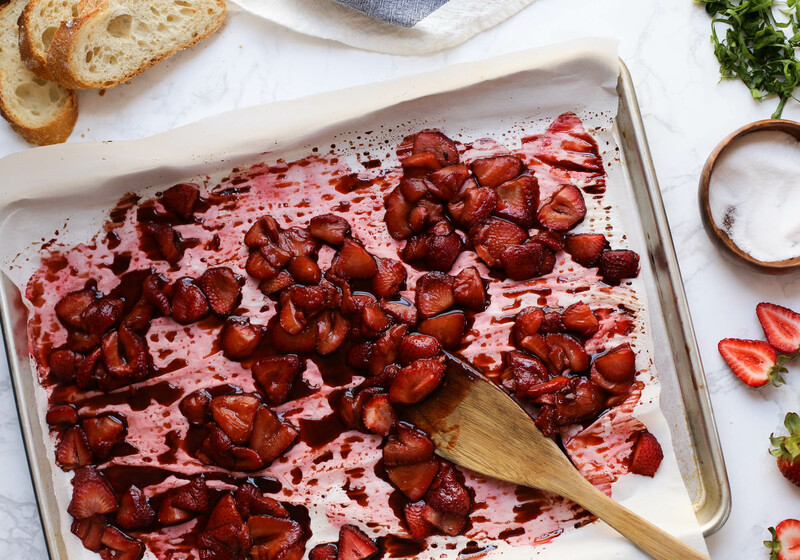 Place the strawberries on the baking sheet, drizzle with the balsamic and sprinkle with sugar. Toss well to coat. Bake for 35-45 minutes, turning once, until the balsamic is thick and syrupy. Serve immediately. One option to serve the strawberries: top a toasted baguette slice with cheese and spoon the strawberries over the top. Add a little chopped basil and serve. Serve the strawberries over ice cream, waffles, or pancakes - the possibilities are endless. They can also be stored in a glass container in the refrigerator and be reheated to serve. 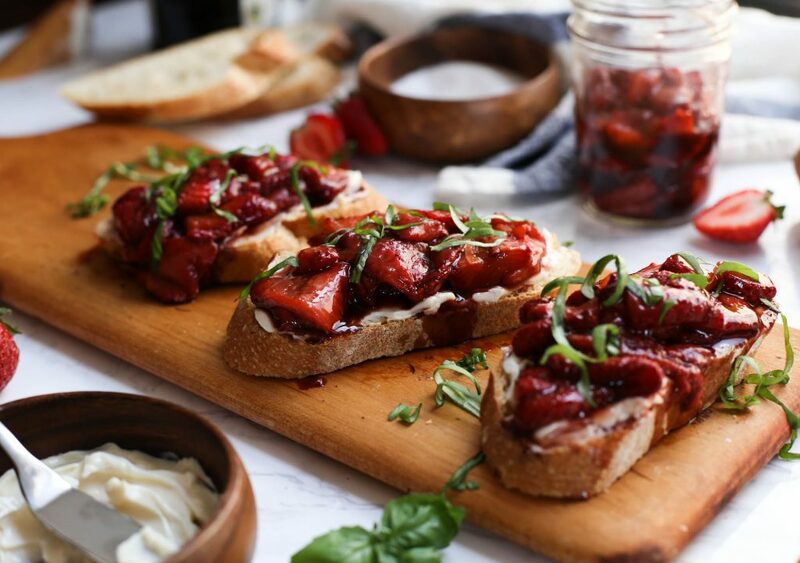 Using high quality balsamic vinegar will achieve an even more delicious result.